This was commissioned by the Mr. Jefferson’s Bones. "It was selected to be the 2018 quartet competition piece for the American Trombone Workshop." 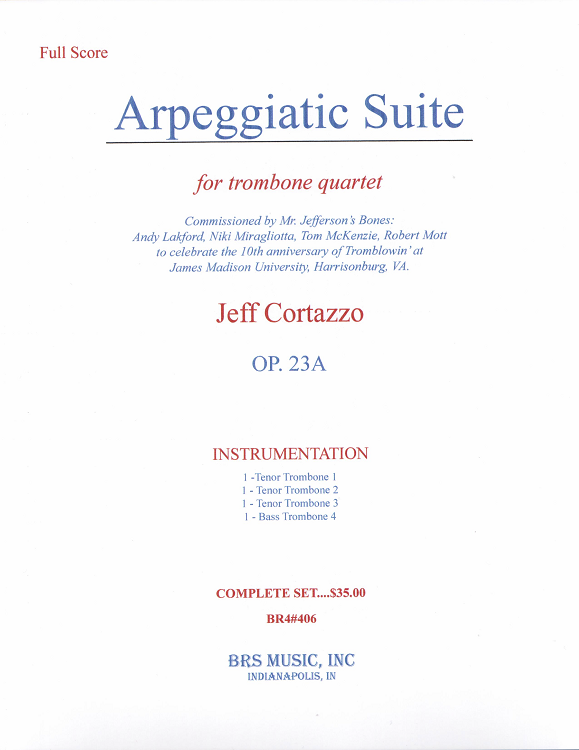 This piece by Jeff Cortazzo will excite all upper level trombone quartets.